Boston is currently having its snowiest month in recorded history, having accumulated a total of 45.5 inches so far. (That is a lot of snow.) And what do you get when you mix inclement conditions and freezing temps? Heated emotions. Given the inconvenience and struggle that the snow has imposed on Bostonians this winter, it's understandable that they're a little on edge right now. Which might explain why one man decided to take sweet revenge against another. After spending hours shoveling snow out of a parking space, a Boston resident put all the snow back when someone else took the spot, completely burying the guy's car. Seems like a logical move to me. So I had a marker, and I spent a long time clearing out this spot. I even made a path from my spot to the sidewalk so I wouldn't have to walk in the streets. According to the Mayor, if you shovel out a spot it is yours for 48 hours after the snow stops.... This guy didn't wait 24 hours so I put all the snow back. Hey, you know what they say — revenge is a dish best served cold. In an interview with Boston.com, the man who posted the Craigslist rant said that after spending quite a while shoveling the spot out, he used a bookshelf as a space marker before going to work an Uber shift on Feb. 8. When he returned later that night, he found a car "with New York plates" in his spot. I’ve lived in Boston for years and I’m from New England. This was just not a cool move. I’m getting home at midnight and I had nowhere to park. As if Boston and New York needed yet another reason to fuel their rivalry. However, the tradition is as old as time in Boston. 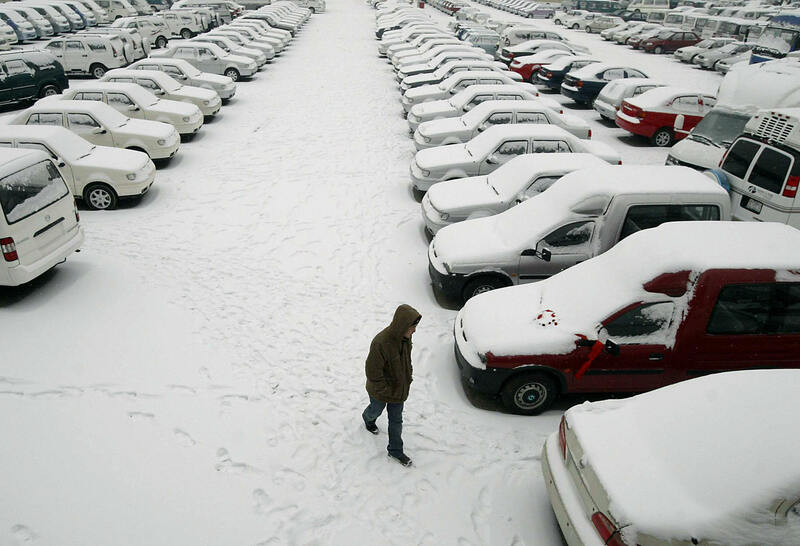 As Boston.com explains, parking spots in Beantown are scarce, and when the city gets covered in snow, parking spaces are even further reduced. As a solution, residents will use objects to mark their parking spots for up to 48 hours after a snow emergency. It's a policy that former Mayor Tom Menino implemented, and it's still honored by residents today. So when you drive down Boston streets in the winter, you're likely to see lawn chairs, bicycles, traffic cones, furniture (like bookshelves), and virtually any object you can think of strewn alongside the sidewalk. It can be somewhat of a shocking sight to out-of-towners. But as for the Craigslist poster, he still had a right to be angry, and he feels like his revenge was reasonable. In fact, others were telling him to pop the guy's tires, but he told Boston.com, "I didn’t think that was OK."